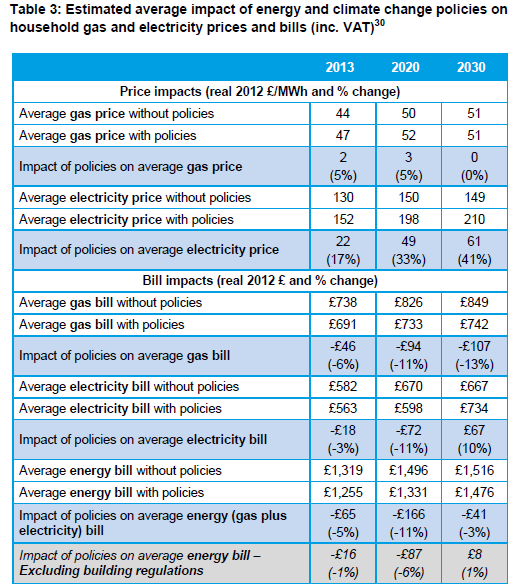 A few people have mentioned the 41% figure to me in recent days - this is a figure that came from a DECC report in March 2013 and which has morphed its way into a popular attack on the renewable sector. The FT: State “energy and climate change” policies – including subsidies for wind farms and nuclear power stations – will add 41 per cent to the price of electricity in the UK by 2030 according to forecasts by the energy department. 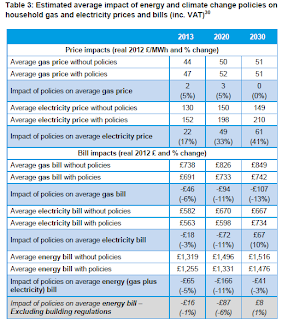 So the Mirror wins the award for the worst journalism, reporting the cost of green policies on electricity only in 2020 while ignoring the overall 11% reduction. Sensationalism beats fact.